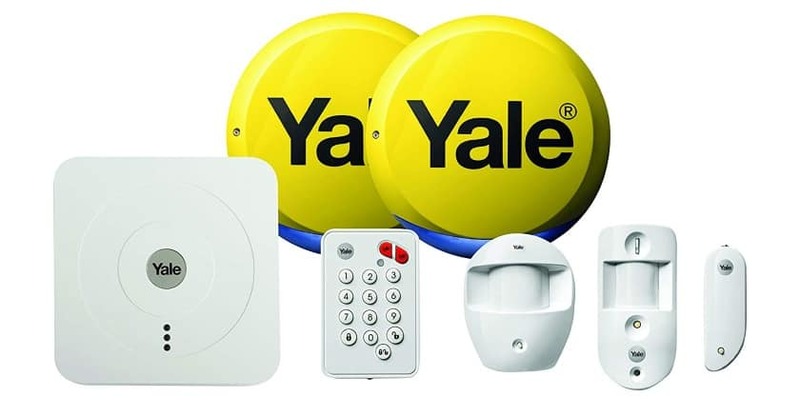 Yale Smart Home Alarm - Simple and Easy to install and use. How many people really have a working audible alarm in their home? Having your home protected is very important and is now very affordable thanks to these type of systems. If you speak to alarm companies they will tell you that each alarm needs to be fitted to the mains, but I believe you can secure your home just as well using an alarm which you can fit yourself. Plus at these discounted prices it is very worth purchasing as you will save hundreds of pounds on a similar alarm which fitted by a local alarm supplier. This Yale Smart Home Alarm is a house alarm with the added extra of cctv! You can control all the functions of your alarm via the Yale Home App, which puts you in full control even when your away from the control panel. The SR-330 Yale Alarm will let you arm, disarm and check the current status of the system from your smartphone. So it won’t matter where you are or even if you forgot to set the alarm when you left. Just pull out your smartphone and you’re given instant access to your home alarm. This Alarm is really the ultimate for peace of mind and security for your home. The App will let you know of any changes or if the alarm has been triggered. If you decide to have the PIR Image camera this will give you further protection and allow you to view all activity inside your home. If you are tech savvy and want total control over your home you have the option of upgrading this system. Just add extras, such as Smart Door locks, CCTV Home View and even a Yale Power switch which means you can operate home appliances from your smartphone! Just connect to the Yale Home App and you can upgrade or change any parts of the home smart system. You can even upgrade your locks with Yale module smart door locks which allows you to unlock doors to friends and family!